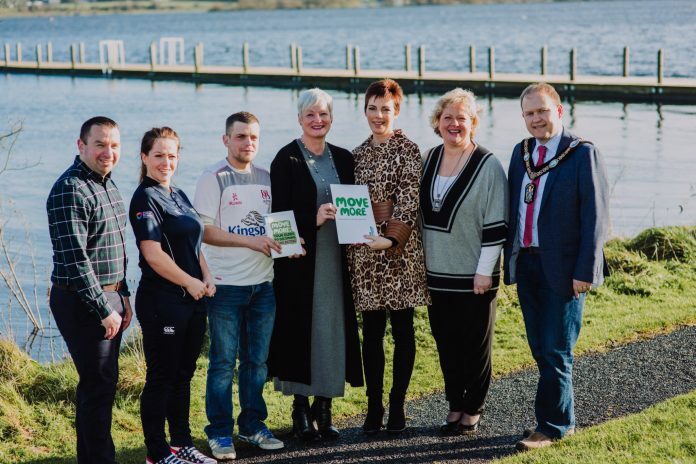 Armagh City, Banbridge and Craigavon Borough Council has teamed up with Macmillan Cancer Support and Southern Health and Social Care Trust to launch ‘Move More’ – an innovative project to help anyone who has been diagnosed with cancer in the local area to get active and remain active. Macmillan Cancer Support funds the Move More initiative and works in partnership with local councils, physical activity providers and health and social care trusts all over Northern Ireland, to provide the support that people living with cancer need to improve their fitness. Lord Mayor of Armagh, Banbridge and Craigavon Alderman Gareth Wilson is delighted that council plays such an important part in the Move More project, which offers such amazing support and encouragement for those with a cancer diagnosis. “The Move More project is a wonderful initiative that offers help to those who have very sadly received a cancer diagnosis. We have a fantastic coordinator here in council who understands that it can be hard to know how to build up your fitness when going through treatment,” commented the Lord Mayor. “The support ensures that each individual gets one-to-one help to find an activity they enjoy, that is right for them and fits in with their lifestyle. It helps to get people active again and keep active so they can enjoy an improved quality of life. Whether this means going to the gym, for a swim, joining a walking group, getting out and about with family and friends or getting more active at home – our coordinator is there for you. “There are around 2,332 cancers diagnosed each year in the Southern area but thanks to earlier diagnosis and advancing treatments, more people are living for longer with and beyond cancer. We are delighted to team up with Macmillan and Armagh City, Banbridge and Craigavon Borough Council to refer our patients to the Move More programme. Getting signed up to Move More is simple – you can be referred into the programme by any healthcare professional or you can self-refer by contacting the coordinator in your local area. or 07711 756 836. Visit Macmillan NI on YouTube to view a short video about Move More.